Property UK Blog Capital power: what's next for London? 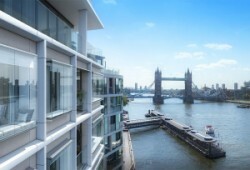 As the capital of the United Kingdom and one of the most powerful cities in the world, many believe that London property may have already hit its peak. 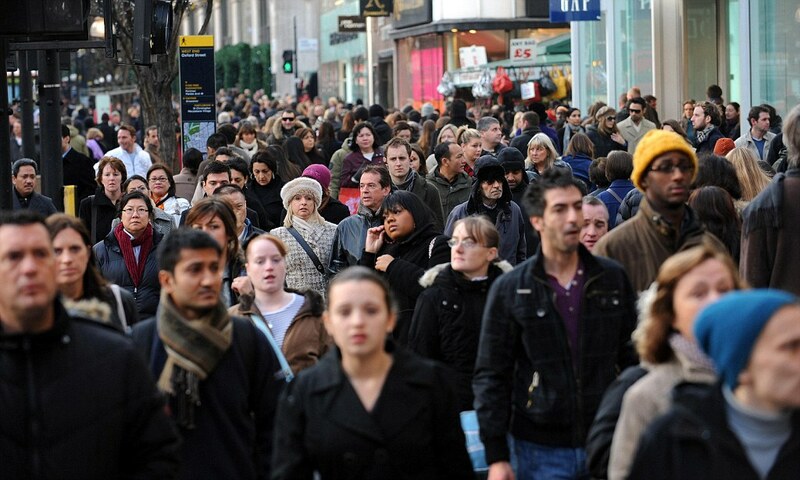 Over nine million people live within its boundaries, and research suggests that over 3 million workers commute into the capital every day, making London one of the busiest cities in the world, behind the likes of Mumbai, Hong Kong and Shanghai. However, despite the reports that have rumbled ominously about slowdowns since Brexit, London progress shows no signs of slowing, with plenty of plans in place aimed at growing and developing the capital even further. From government initiatives through to interest from property investors and developers, the future of London is bright. We explore the plans in place for developing London, and what this means for its residents and future London property investment. Research suggests that the city’s population will grow to at least 10.8 million by 2041. Experts suggest an estimated 65,000 homes will need to be developed each and every year to cope with the growing population and increasing demands. This has to be done in a way that doesn’t negatively impact the current quality of life in the city, or ideally, improves it. The growing need for further housing presents the perfect opportunity for property developers and investors to get involved with meeting this demand and seeing a return on investment. With this insight into the expected increase in London’s population, an investment in London property is a solid addition to any real estate portfolio, especially in the buy-to-let market. The most recent of the Mayor’s Transport Strategy was released in March 2018, which details plans to improve the city’s streets and the overall transport system throughout London, as well as highlighting any opportunities for creating more homes and jobs within the city’s space. The Mayor’s transport strategy aims to improve the health and safety of London’s residents, all whilst providing greater convenience and accessibility throughout the city. One major component within the transport strategy is the Healthy Street Approach, which plans to make communities more attractive and appealing to live in, as well as improving the city’s air quality and reducing congestion at the same time. The Healthy Street Approach should, over time, improve a number of areas within the city’s limits and increase the interest from developers. From there, we should see more investment opportunities in areas, especially regenerating parts of the city. If you’re considering property investment in London, it makes sense to keep up to date with the Healthy Street Approach and which areas are being improved, ready for early investment opportunities. Other aims of the Mayor’s transport strategy include reducing the amount of traffic, developing a city-wide cycle network, as well as making the transport system more reliable as the population increases and as more homes and jobs become available. These plans should, over time, improve the accessibility of transport systems across the city and its suburban areas. In turn, this will make the capital even more attractive to individuals wishing to live or work there, driving the demand for more property investors in the residential and buy-to-let markets. Opportunity areas are those areas of pre-developed land that are currently not in use, but with potential for future development. There are a number of opportunity areas in London that have been highlighted by the government, which would be ideal for both residential and commercial use. On average, these areas are able to accommodate 2,500 new homes, 5,000 jobs, or a mix of the two. Intensification areas, on the other hand, are classed as areas of developed land already in use, which has the capacity to be further developed on. They typically help to increase the number of residential and/or commercial spaces and can increase the number of jobs available within the space, too. According to the Mayor of London’s plans, there are 38 Opportunity Areas and seven Intensification Areas that have been highlighted throughout the capital. These areas include the likes of Bromley, Croydon, Euston and Waterloo for Opportunity Areas, as well as Holborn and Kidbrooke as Intensification Areas. Information on these areas provides developers and investors with an insight into which areas within London could be perfect for building and investing in, during the coming years. 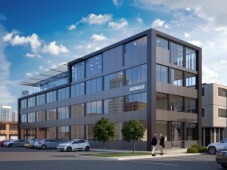 Early knowledge of these particular areas could stand developers and property investors in good stead, when they are ahead of the competition and with the potential of receiving a healthy return on investment in due course. London’s property market has been subject to a slow decline in recent times, especially in comparison to the surge in property prices and investment in more northern cities such as Manchester. This hasn’t been the best period for owners looking to sell their London properties, however it could be advantageous for those looking to buy. It’s expected that the London property market won’t begin to regain its investment appeal until at least 2021, when experts suggest it will once again, become the fastest growing and developing location in the UK. With that in mind, investors would be wise to consider London and its property investment opportunities, before the market picks up again and before prices start to rocket. That way, you’re likely to find a brilliant property for a good price, with a decent return on investment bagged for the future. Is co-living the next step for London’s property development? The co-living concept has been the talk of London over the last year or so, suggesting a new way of living in one of the world’s busiest cities. The idea behind co-living is that residents share living spaces, with their bedrooms and bathrooms being separate and just for themselves. It’s an adult-version of student halls, designed to create more residential spaces in bustling cities, all whilst keeping the cost of living down. Rather than paying extortionate amounts for a studio space or a one-bedroom apartment, those living on their own will be able to live in their own space, all whilst enjoying the social features that co-living brings. It’s been predicted that co-living could be the next big property development scheme throughout Europe, including London, to help break down the barriers of rising costs within the property market. Could this be the next investment opportunity that buy-to-let property buyers should be considering? The vast and hugely popular city of London appears to be showing no signs of stopping in its pursuit to grow, develop and offer a home for increasing numbers of individuals. 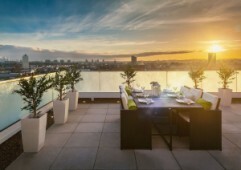 With that in mind, there’s always going to be some property investment potential within this incredible city, however it pays to know where to look. Invest in a serviced office suite right in the heart of London, just minutes away from Liverpool Street and fully equipped with all infrastructure for success in business – this is a top opportunity for those looking to enter into investing in the UK. Within walking distance to three London Underground stops, this is a remarkable project on the waterfront in the centre of London just minutes away from the financial city and ripe for investment today at favourable prices.